This building was the original Star Inn / commercial hotel [a place that has rooms in which people can stay especially when they are traveling: a place that provides food, lodging, and other services for paying guests]. If you have a look at the roof and dormer windows in the photos at the bottom of this page, you can still see the ancient part of this house. 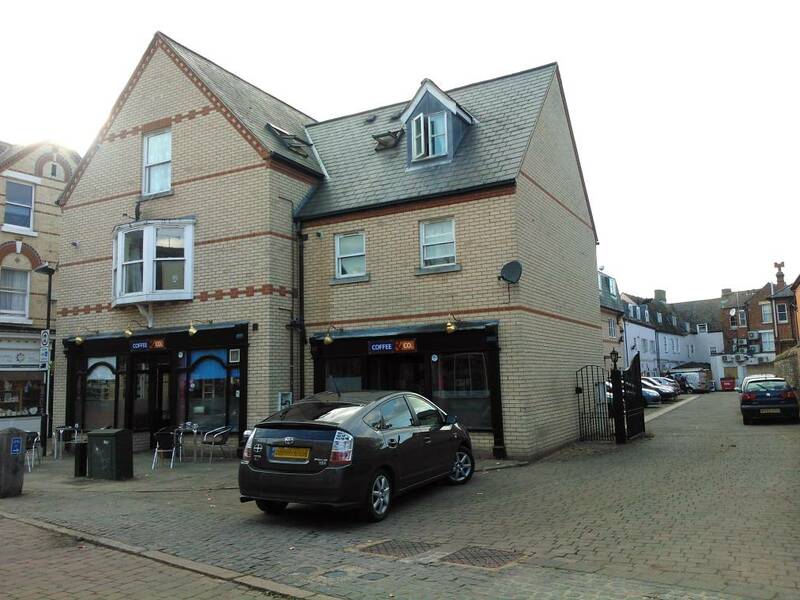 Originally you could enter into the dray entrance on the left-hand side at the front of the building, into the pub courtyard and walk (or take a Dray cart) all the way through to Palace Street. Although it's not believed that the Star ever became part of King James I's palace in Newmarket, nor is it shown in the survey map produced by Thomas Fort, Clerk of Works (1719-1745) for the former Charles II's palace, but it does get mentioned in relation to a new brewhouse that was constructed for King James in 1615-1616. Whereas Sr John Cotton, Kt, and some of the officers of or works, have made composicon wth Reginald Gawen, of Newmarkett, for a small parcell of land, contayning three roods or therabouts, lying on the backside of a house in Newmarkett (commonly knowne by the name of the Star), in or County of Cambridge, on wch peece of ground are lately erected a Brewhouse, and a Storehouse for or vse and service. If you hover over the interactive map of Newmarket at the location for the former Star Hotel you'll find that the outline extends from the High Street, all the way along that side of Sun Lane, through to Coffee & Co. - No.12-14 Palace Street, including the courtyard behind these locations ... this is because this plot of land was at one time all part of the Star Inn. But the 3 roods mentioned above with regards to the King's brewhouse is ¾acre, and this is a much larger plot of land than the whole of the original Star Inn (which is about ¼acre). This size of land though does fit very well with the areas of Charles II's palace that were at one time Queen Anne's Pavilion, the Chamberlain's Office, the Courtyard, and the garden to the palace (these areas are labelled on the map of Charles II's palace) - it's therefore believed that this was the location of this particular brewhouse (there were two that were part of James I's palace). This particular location does match with the description in the above document if the you consider that the this area was indeed the 'backside' of the Star Inn, from the aspect of its long frontage onto Sun Lane. James' brewhouse was demolished at the same time as his palace in 1650 by the Interregnum, to be replaced by Charles II's palace in 1669. John Snell was born in Newmarket and baptised at St Mary's church on 13th July 1802. 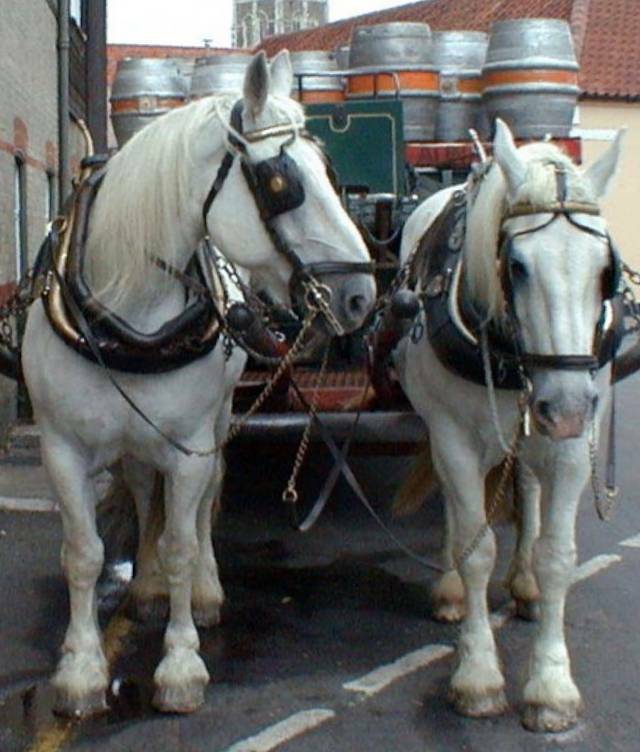 He married widow Elizabeth Gregory on 25th November 1830 in All Saints Church, with Thomas Moody as was one of his witnesses at the wedding ... so John was clearly involved in the brewing business at an early age. He died on 10th October 1851 at the age of 49 and was buried in All Saints churchyard. His widow Elizabeth continued running the hotel until her death in November 1865, after which their son Charles William Snell (b. 1837) took over the business. Charles married Jane Bassenden at Canterbury, Kent in 1866 and died on 21st June 1877 in Newmarket. 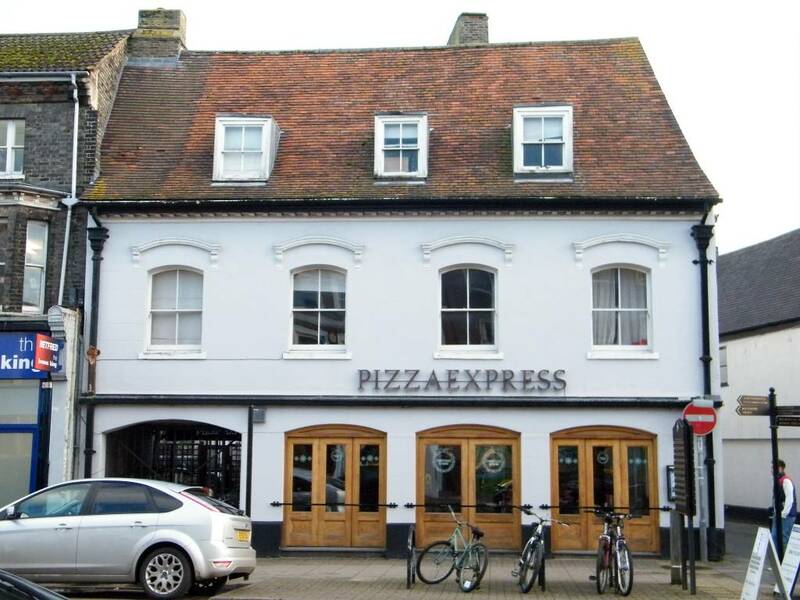 Their son Harry Alfred Snell became a plumber and after his marriage in 1893 to Florence Beer they moved to live in Canterbury, near his mother's family. They had 10 children and descendants of their families can still be found in the Canterbury area. A temporary transfer of licence was granted from J. Hayhoe, to Miss Harriett Moody, for the Star Inn, at Newmarket, which it is said would be managed by a Mr. Bell, from London. She later took full control of the Star Hotel and is listed there in the trade directories from 1885 until the sale of the brewery in 1896, when Greene King bought out 'Miss Moody's' Newmarket brewery together with her 10 public houses, for £22,500. The J. Hayhoe listed in the newspaper report above was Joseph Hayhoe, the trainer who at that time was at Palace House Stables just behind here. William Bell was the first manager of the hotel during Harriett's 'reign' and it was at this time that the Star Tap, which was at the rear of the hotel facing onto Palace Street, was listed with a different publican. The Star Tap is now the location of Coffee & Co.
Charles Bradly was born in Melton Mowbray on 27th Aug 1837. Prior to moving to Newmarket he'd been a trainer with his father Henry (Harry) Bradly at Hargham, near Attleborough in Norfolk and married Sarah Ruse on 31st October 1865 in All Saints church. He stayed at the Star Hotel until it was sold in 1896. William Robert Rutherford was the first licensee here for Greene King. He was born in 1871 in Croydon, Surrey and didn't stay long in Newmarket - by the 1911 census he was back in Surrey and later moved on to run the Railway Arms at Merstham, near Redhill. He was replaced by widower William Henry Medcalf who came from Morden in Surrey. Previously in 1901 he'd been a stud groom at Newport Lodge Stables in Melton Mowbray, so may have known the previous tenant of the Star, Charles Bradly. William Henry died on 15th November 1916 and the tenancy passed to his daughter Matilda Harriet Medcalf. 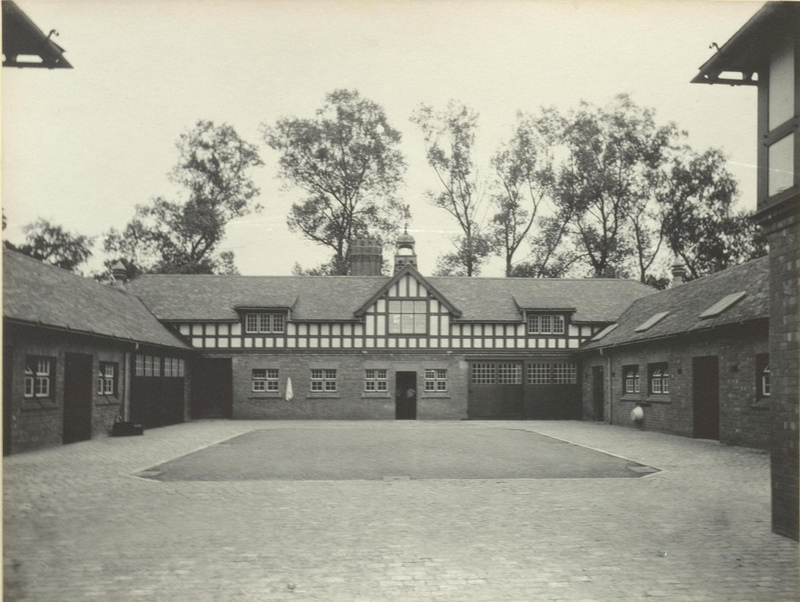 Matilda stayed at the hotel until the late 1920s, but after she left she continued to live in Newmarket, and died at White Lodge hospital on 15th January 1956, having lived previously at Ringfield, St Mary's Square. According to various records the Cyrus R. Chapman in the 1936 Newmarket Directory was Cyrus Richard Chapman. He was born in Glasgow in 1890 and married Lilian Rutherforth in Beverley, Yorkshire in 1910, where he can still be seen living in the 1911 census working as a domestic groom in the fox hunting industry. He was obviously at Newmarket in 1936, but it's not known how long he stayed at the Star Hotel. He died in Bury St Edmunds in March 1965. 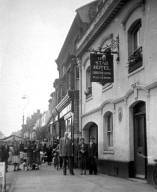 Many thanks to Tony Pringle for his information about the history of the pub and for the photo 'Star 1950s', 'Star Hotel old' and 'Star Hotel'.